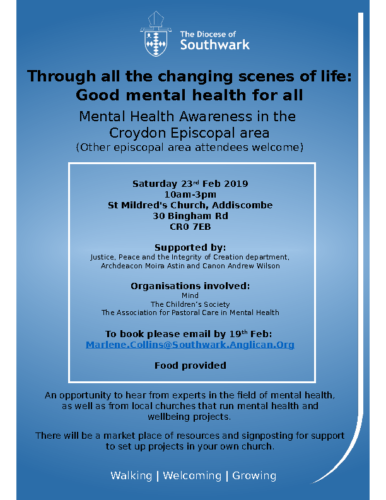 Join us on Saturday 23rd February 2019 to hear from experts in the field of mental health, as well as from local churches that run mental health and wellbeing projects. There will be a market place of resources and signposting for support to set up projects in your own church. This event is focused on the Croydon episcopal area, but if you’re based elsewhere you are still very welcome to attend! This event is being organised by the Justice, Peace & Integrity of Creation department of the Diocese of Southwark, with the help of Archdeacon Moira Astin and Canon Andrew Wilson. It’s being supported by MIND, The Children’s Society, and ourselves. Entry is free, and food will be provided. Canon John Foskett, a pioneer in clinical pastoral education and chaplain at the Maudsley Hospital for many years, has died at the age of 78. John was a long-time supporter of Being Alongside/APCMH, and wrote two books: Meaning in Madness (1984), about mental health, religion and chaplaincy, and Helping the Helpers (1988), with David Lyall, about supervision for pastoral counsellors. An obituary written by John’s son Tim has been published by The Guardian in its Other Lives section. A memorial service will be held at Southwark Cathedral at 2pm on 14th November 2017. All who knew John and valued his work are warmly encouraged to attend. An appreciation will appear in the next issue of our magazine. I wish to pay tribute to Rev John Foskett who was the chaplain at the Bethlem Royal Hospital in Beckenham from 1976 to 1994. He was also an honorary Canon at Southwark Cathedral from 1988 to 1994. He was a really good friend to Being Alongside. He spoke many times on our behalf at meetings held over the years. I met him in the eighties when I went on a course for pastoral counselling at the Arts Centre in Croydon. We learnt a great deal and both John and Mary were very kind and understanding concerning the problems that people often experienced. They enabled those who took part in the course to gain in Confidence when working in voluntary organisations and the church and Being Alongside. He was always available for consultation and I can remember visiting him at the hospital on more than one occasion. He also worked at the well known Maudsley Hospital in Denmark Hill and was highly thought of by staff and patients alike. He wrote a book sharing his experiences of those who suffered mental illness which was a great help to many. 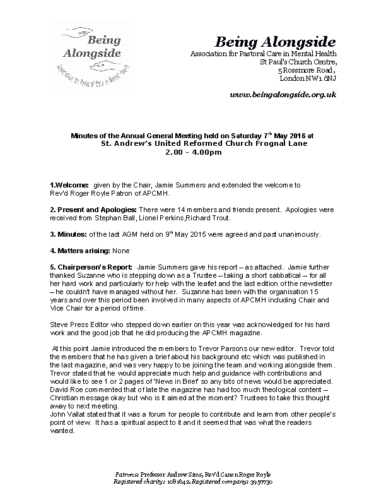 I wish to say that we were very fortunate in APCMH to have the support and help which John gave over the years. 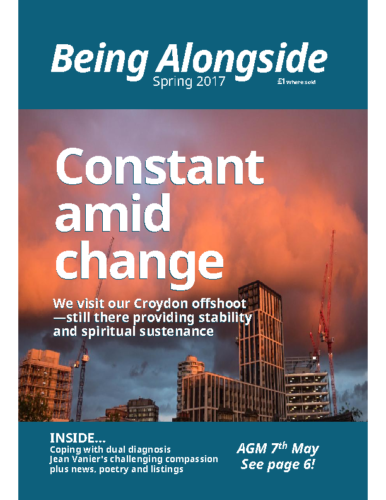 The main article in the Spring 2017 issue of Being Alongside is a detailed portrait of our Croydon offshoot, which is still there providing stability and spiritual sustenance 30 years after it was established in the heady early days of the Association for the Pastoral Care of the Mentally Ill, as we were originally known. Operating a completely open-door policy, Croydon APCMH offers an impressively wide range of services and activities at three locations around the borough, thanks to a dedicated team of volunteers and staff. We hear about what it takes to keep it all going from project co-ordinator Millie Reid and vice chair Revd Canon Andrew Wilson, who has been there from the start. 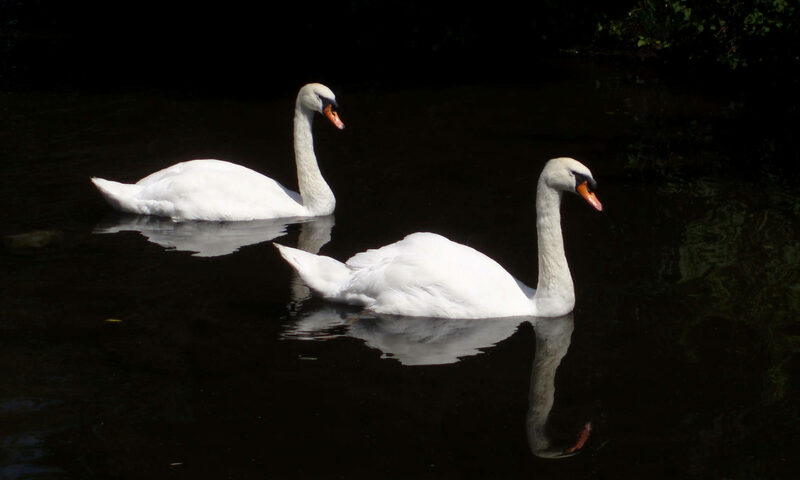 Also featured in the Spring issue are Sean Kennedy’s reflections on living with a dual diagnosis of addiction and mental health issues; and further excerpts from the retreat diary of our chairman Jamie Summers, in which we find him challenged by Jean Vanier’s ability to forgive. And when you’ve finished reading this issue, you can have a virtual leaf through several years’ worth of back issues on our magazine page. More to come when we get around to scanning them! Our Merton & Sutton branch is putting out a call for people who might be interested in volunteering to befriend persons with mental health problems living in the community in the south London boroughs of Merton and Sutton. The branch provides all the training and support that volunteers need. The next short free training course takes place on Saturday March 18th (daytime) and Wednesday March 22nd (evening) at a venue in central Wimbledon. Our Forest Hill branch is planning to celebrate its 30th anniversary by holding a summer party. Forest Hill APCMH has been running a drop-in since 1987, running a drop-in for people with mental health problems and their carers since 1987. All supporters and interested guests are welcome. PEOPLE in Arnold, a suburb of Nottingham, now have a friendly place to go for information, help and companionship every Friday thanks to a new drop-in organised by Arnold Methodist Church Mental Health Befriending and Support Group. 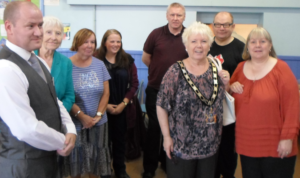 The drop-in was already running for four weeks before it was officially launched on September 9th by the mayor of Gedling, Councillor Sandra Barnes. To judge by the numbers attending, it clearly meets a need, with around 60 people turning up for each of the first month’s sessions. In addition to support from its local NHS trust and local authority, the Arnold drop-in has received an initial grant of £500 from BA / APCMH to help cover setup costs. It is in discussion with our trustees regarding the possibility of further funding and of affiliating to the association. GOOD WEATHER and a delightful new venue in the form of St Mark’s church hall in Wimbledon helped to make Merton & Sutton APCMH’s summer party go with a swing this year. Befrienders and those they befriend turned out in good numbers to enjoy a complimentary buffet and a variety of refreshments, with entertainment in the form of a quiz and raffle. The group has provided a befriending service for over 25 years now, and there are currently approaching 40 active befriending relationships. PURSUING ITS MISSION to support the educational aspirations and careers of those who have experienced serious mental health difficulties, the Bishop Stephen Sykes bursary has provided £400 to a young man studying in Scotland to cover the cost of buying a new laptop—an essential tool for study these days. BA / APCMH trustees granted the funds after hearing that the applicant was finding it difficult to continue his studies because his old laptop had broken down and was unusable. The application was accompanied by letters from the university and a support worker commending the student’s tenacity in continuing to pursue his studies despite having had a number of setbacks. Trustees were pleased to hear this, and sent their good wishes and encouragement along with the bursary’s financial support.